This issue gives you a plethora of "Tech and Toys." 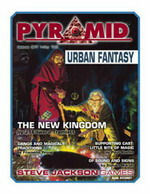 This futuristic issue includes "More Ultra! 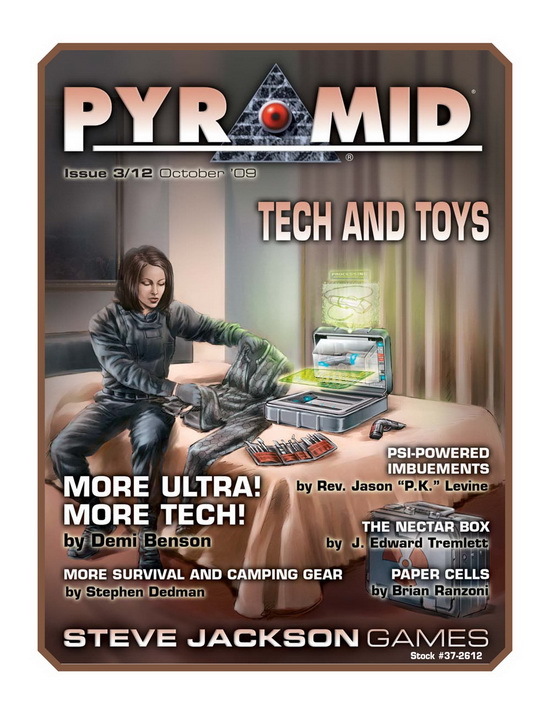 More Tech!," with dozens of new items and options that expand on GURPS Ultra-Tech. New defensive possibilities! More weapons! Improved equipment! 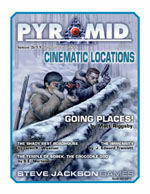 This issue covers "Cinematic Locations." If you're looking for interesting locales, you've come to the right spot! 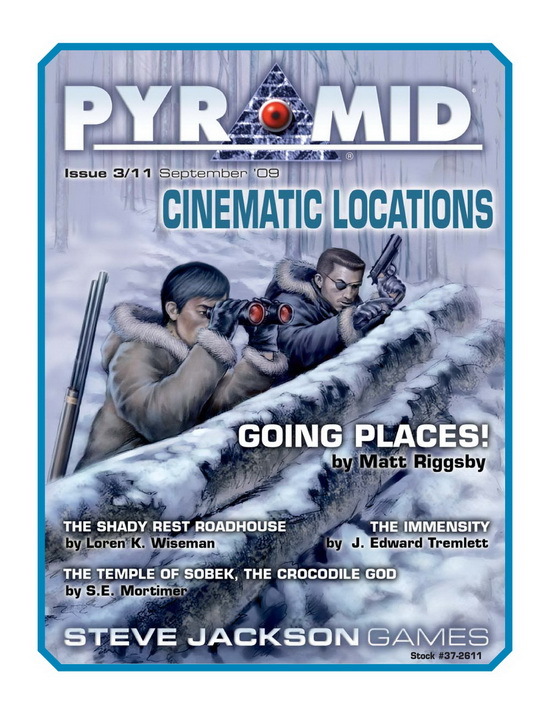 This issue features "Going Places!," a description of two vehicles that can serve as centerpieces for adventure or the means to get to other exciting scenes. Written by noted GURPS author Matt Riggsby, this article comes complete with full-color maps and GURPS stats of the vehicles in two different eras! 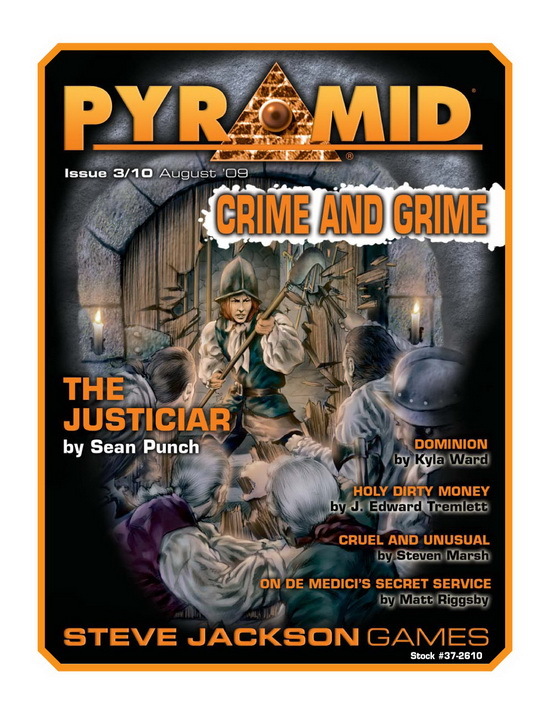 This issue covers "Crime and Grime," and it's criminally full of helpful and fun ideas for a medieval- or fantasy-themed campaign. Whether your adventurers are agents of law and order, actively oppose those agents, or just want to stay out of the way, they're sure to find something they can use. 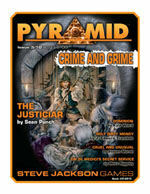 This issue contains "The Justiciar," a new template for GURPS Dungeon Fantasy, written by GURPS line editor Sean Punch! The future never seemed so retro – this time, the theme is "Space Opera!" 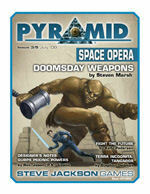 In this issue, you can threaten interstellar peace with four cosmos-concerning contraptions in "Doomsday Weapons." These generic devices come with adventure possibilities and can form the basis for a rousing space-opera tale, or even a campaign! This issue's theme is "Cliffhangers!" 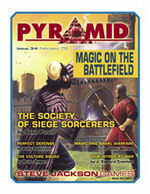 Travel back in time to the 1930s with 45 action-packed pages of pulse-pounding gaming goodness! 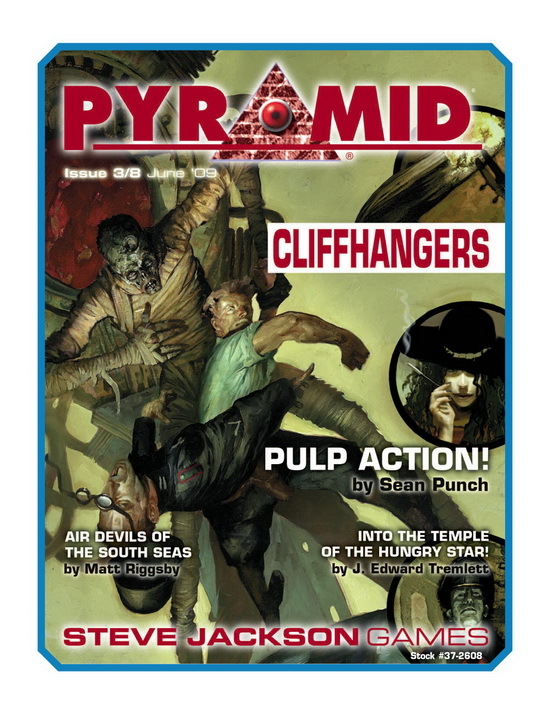 Dust off your dossier with help from chisel-chinned GURPS mastermind Sean Punch's "Pulp Action!" Use the rules of GURPS Action in a cliffhanger campaign with these new and modified templates, lenses, and rules. After all, what are the pulps without Action? 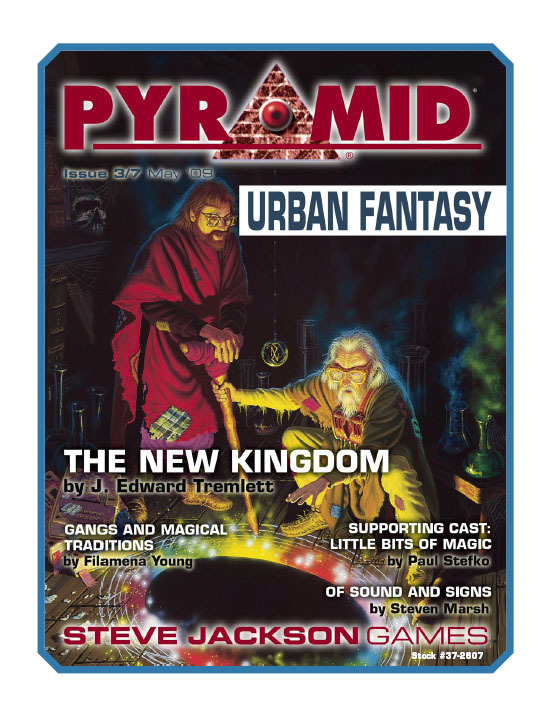 In this issue, our theme is "Urban Fantasy," and it's packed with 42 pages of people, plots, and powered possibilities, including "The New Kingdom," a systemless campaign that brings the Egyptian gods to the modern world. Can humanity survive their far-reaching plots? Can the gods and their agents uncover the mystery of who dares try to kill them? 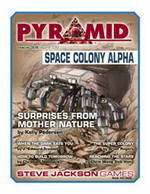 This issue's theme is "Space Colony Alpha." In these 44 pages are tools, tips, and inspiration for any group of determined futurists looking to stake a claim on a distant world. 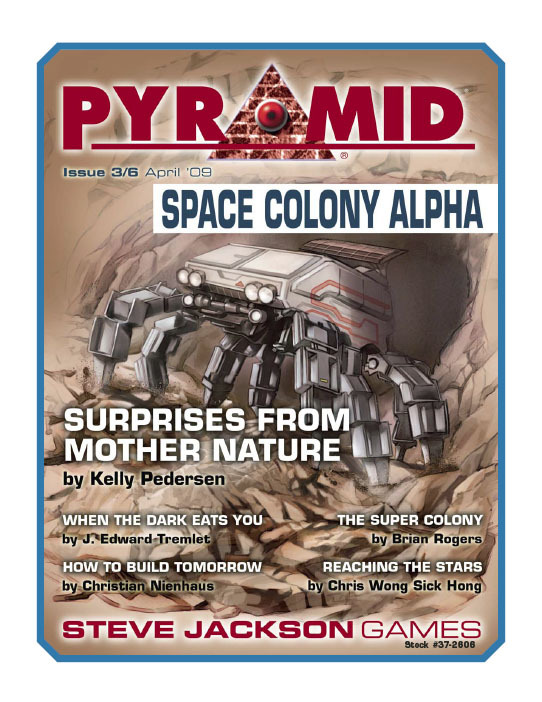 Contents include "Surprises from Mother Nature" – four life forms that can present unique challenges for colonists. 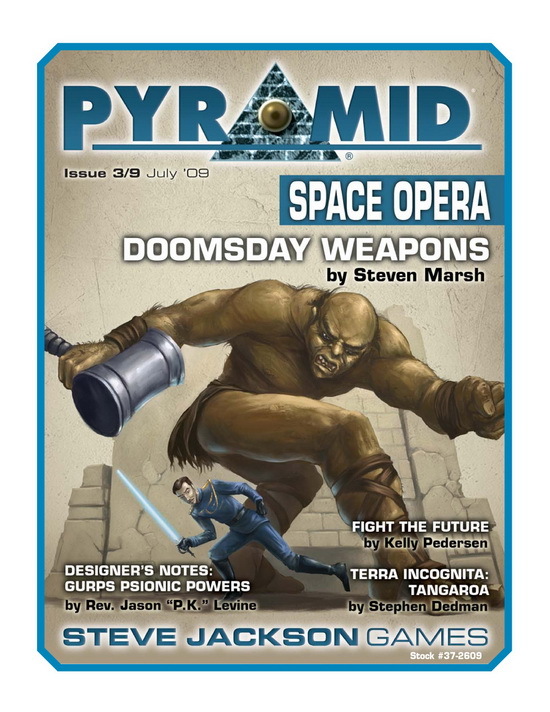 Each has GURPS stats, but is generic enough to plug into most space-faring games. 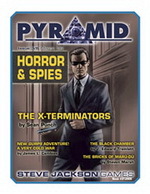 This month, we look at "Horror & Spies." 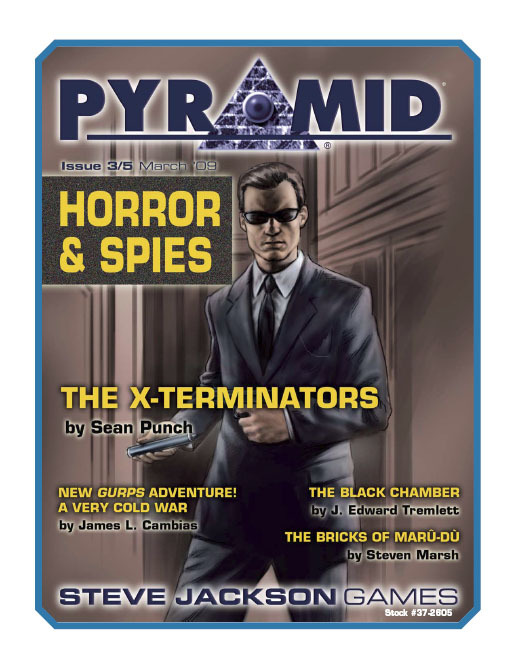 Within the 40 pages uniting these two venerable genres, we look at GURPS Line Editor Sean Punch's "X-Terminators," new templates and lenses for GURPS Action that build on the roles found in GURPS Loadouts: Monster Hunters. 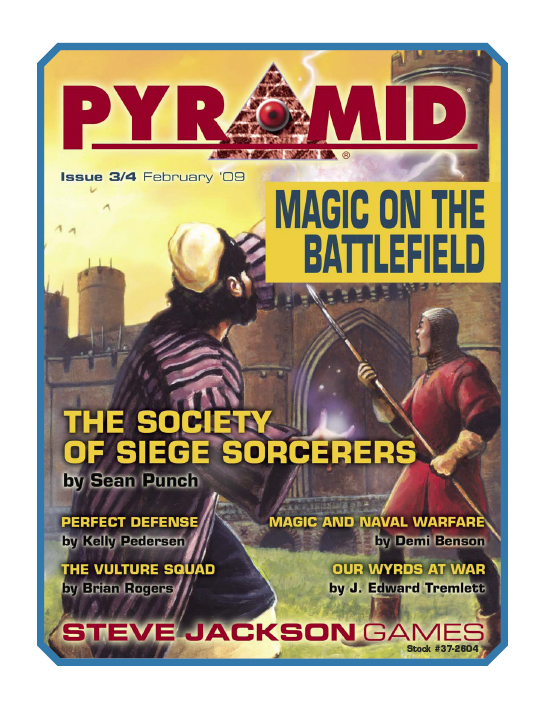 This month's installment is 40 pages dedicated to warfare and wizardry, and includes GURPS Line Editor Sean Punch's description of a group of martial mages, using both GURPS Thaumatology: Magical Styles and GURPS Mass Combat! 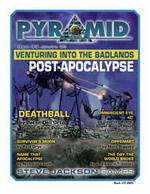 This month's installment is entitled "Venturing Into the Badlands: Post-Apocalypse." It's 44 pages dedicated to the end times, and includes a description by Peter Dell'Orto (GURPS Martial Arts) and Sean Punch (GURPS Action) of "Deathball," the GURPS sport of the future!